Undergraduate students from the Greehey School of Business continue to command the spotlight at national competitions, such as the annual Free Trade Alliance International Business Plan competition and the Enactus United States Regional Competition. 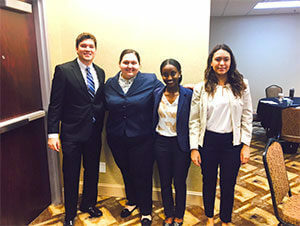 Irving Tochez, Eyerusalem Debebe, Susana Salinas and Ivis Palacios placed second in the Free Trade Alliance International Business Plan competition after facing competition from universities across the country, including Texas A&M University-San Antonio and the University of Mary Hardin-Baylor. The students worked intensely to develop a business plan for a new mock company, Second Chance Fruits and Vegetables, and then presented their plan to a panel of judges. 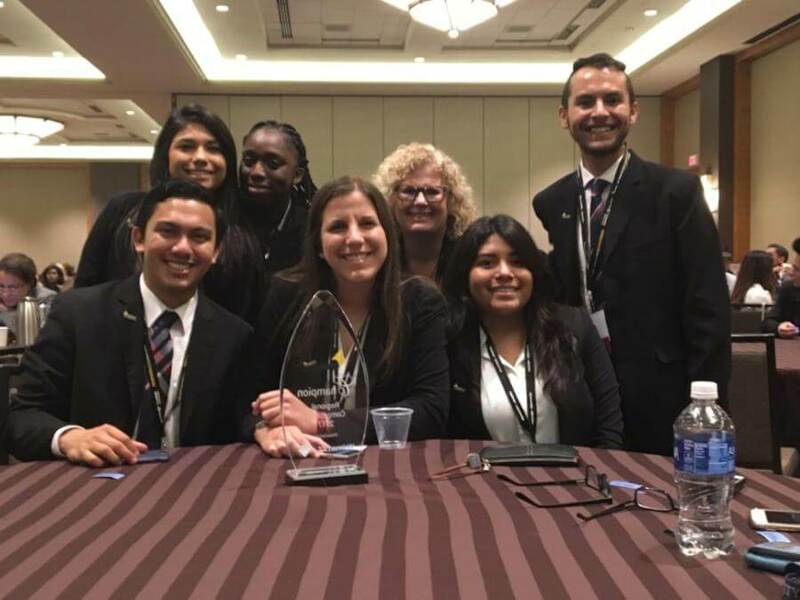 The St. Mary’s Enactus team competed against 35 schools in Dallas on April 10 at the Enactus United States Regional Competition. The St. Mary’s team includes Guillermo Avelar, junior Marketing major; Metzery Cantu, junior Biology major; Rosa Cruz Cove, senior Biology major; Jose Parrilla, senior Information Systems major; Lucia Paz, senior Management major; and Jassmyn Stevens, sophomore International Relations major. Teams of students develop and implement business projects that aim to improve the living conditions of communities around the world. After hours of hard work and preparation, St. Mary’s advanced to nationals, May 21-23 in Kansas City, Missouri. Enactus is a community of student, academic and business leaders committed to using the power of entrepreneurial action to transform lives and shape a better, more sustainable, world.